Nowadays it's though to imagine an application that doesn't consume web services. In my previous post I've described how to add declarative validation on Data Control level. WebService Data Control have been the best example in my opinion. Now I would like to make a step forward about how to combine ADF and web services. I believe that you have already watched ADF Architecture channel about services integration in ADF. Accodring to the architecture that Frank has described, you'll have web service proxy and kind of java facade. It helps to avoid UI changes caused by WSDL definition changes and gives a mean to cache the values. I assume that all of this is done. Let us explore POJO DC a little bit more. 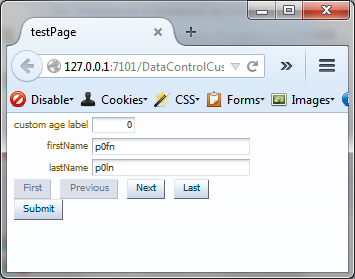 The start point of this post is creation of transfer object and data access object: Person entity and PojoDataControlImpl class. 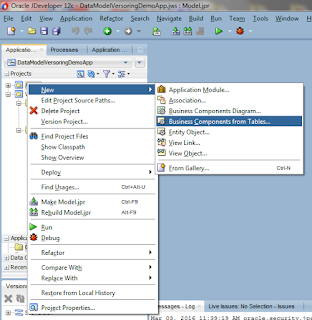 The second file is POJO DataControl implementation file. Having all this, please create the Data Control and a test page. 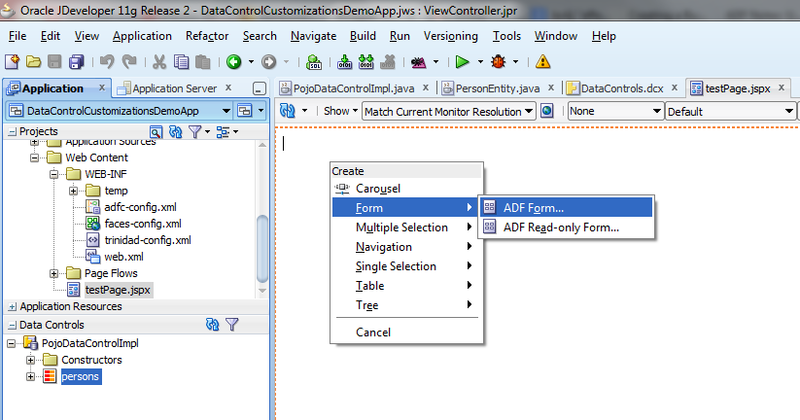 Drag and drop persons collection as ADF Form and run it. Let us focus on the first field which is age. Go to Bindings section and explore it. Right click on the collection in Data Control section. Click on Edit Definition. What has happend? Framework creates XML file that corresponds with PersonEntity java class. Do you recognize the central part of JDeveloper? It is very similar to BC4J configuration wizard. And it allows to change it and use it in the same manner as BC4J entities. Please do some changes and run the page again. The changes are applied to view layer by the framework. Nothing more to add. Need to iInternationalize your application? You've got model bundle file. Need to create new page? 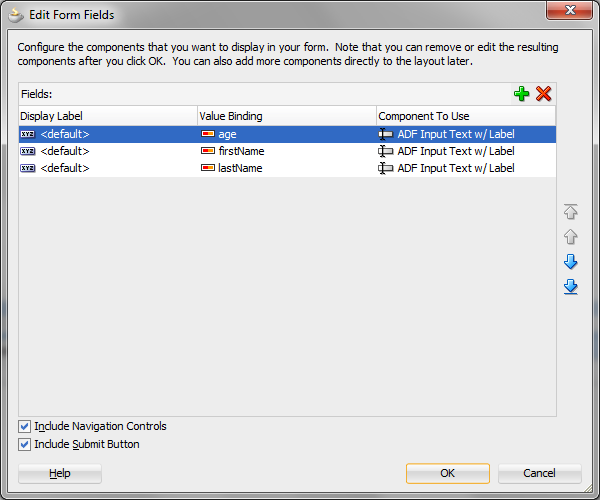 Just drag and drop attribute or collection and all of the validation, labels, read-only settings are applied.